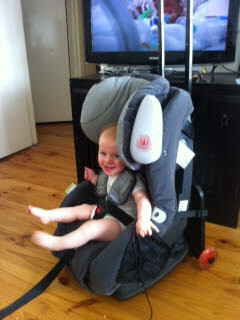 By the way, the Go-Go baby Travelmate was an absolute hit!! I had people everywhere asking me where to get one. It was super easy to use and our little boy just loved being pulled around in his car seat. I've even used it here in Singapore as we don't have a car and its a brilliant way to use the car seat in Taxis. Wonderful flight with CARES. Envy of some other parents. Comfortable for our son. Peace of mind safety wise for me. Only one flight staff questioned the product.....only because they hadn't seen...and travel with their own children. The only other thing I would say to parents is whilst my son was sleeping CARES held him upright. Brilliant! Thanks for your help and clear communication - really appreciated! Youre understanding of our needs and willingness to go the extra mile made this so much simpler for us. Just received delivery of goods this afternoon! WOW! Thank you so much for your excellent service – how quick and attentive. I have used you guys before and every time you have been exceptional – not to mention your products are just fantastic! Well done. 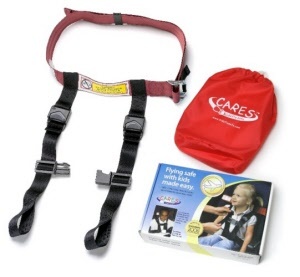 Thanks so much for sending the [CARES] harness so promptly yesterday. I have just received it now, less than 24 hours after calling. Many thanks for such a prompt response to my order, I ordered on-line Wednesday night and I received our box of goodies at 7am this morning (Fri), just wanted to express my sincere thanks. Will definitely share your site and customer service experience with friends and colleagues. Thank you – we received the stuff really quickly. Brilliant website, nice to support local on-line shopping. 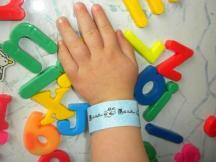 Just wanted to say thanks for the quick delivery of my CARES harness, glow bracelets and ID wrist bands. Because I left it til only a few days before flying to order I was relieved when it arrived quickly. My son loved the harness and I loved that he was secure. I hope he loves it just as much for our next flight which will be 9 hours longer!! Thanks again. Just a quick note to say thank you very much for your prompt service! I ordered the CARES Harness (after speaking to you over the phone) on Monday afternoon and it arrived on Tuesday lunchtime at the post office for collection. I very much appreciate the exceptional service that you provided and being a frequent flyer, I will no doubt be back for other items! Thank you once again. Just a quick note to thank for excellent and very speedy service. I received the parcel with in 24 hours from calling you. Very fast! The CARES harness is great. Certainly makes it much easier to fly with a toddler. Ps I love your website and travel information. I received the travel mate today. 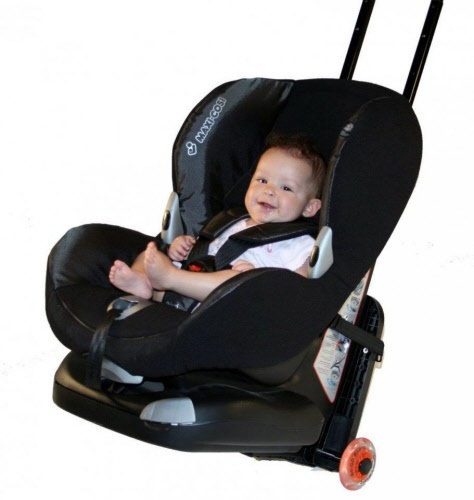 I will send you feedback on the travel mate and also I will let you know how I went traveling on a plane with a car seat. I may take photos of it set the car seat up and how I installed it, I searched everywhere and could not find much on setting an Australian seat up on an Australian plane. Thanks again. 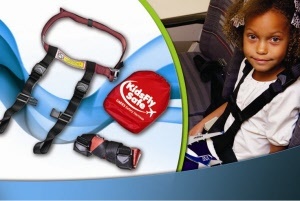 Thank you so much for getting our [CARES harness] order to us so quickly & over the holidays. I have just sighed with relief & am almost looking forward to our fiji flight. I will let you know how we go. Awesome product, great packaging, looking forward to the test drive Friday! The CARES Harness was FANTASTIC. I got it for a weekend trip from the other side of Australia to US. It was just my 2yr old son and I and I found it fantastic. I should probably get a commission as I handed out ALL the 'spread the word' cards on our 1st flight and wrote down the info for others on our other 3 flights. I am very impressed and will be using it again. Highly recommend it. Many thanks for your e-mail, and for your speedy work; the package has already arrived! 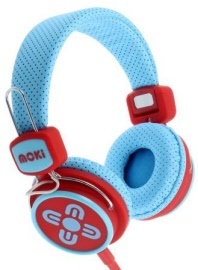 We really hope this makes our overseas flight with our kids a little more manageable. We appreciate the fantastic client service we have received. Such service seems to be as rare as hens teeth these days. Thanks again. Just wanted to say thankyou. MooseNoose ordered on Tues and arrived the next day. Thankyou for your efficient and friendly service - much appreciated. 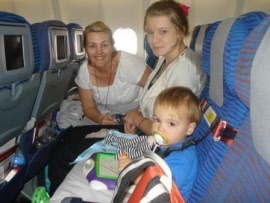 It really made our trip much more comfortable knowing that he was safely secured in his seat and I believe it reminded him that he was in his car seat which meant that he wasn’t all that fussed in wanting to get out from his seat during flight. I received the parcel on Thursday afternoon. I wasn't sure whether you meant Thursday this week or the next, and was pleasantly surprised when the postman arrived with an express package. I appreciate the really kind customer service that you've given me. I'll be more than happy to recommend your website and products to friends. My son likes the neck roll, and hopefully will wear it on the journey. I haven't read the user guide for the [CARES] harness yet...will get around to that soon. It's all a big help. Advanced Happy holidays to you and your family! Thanks for that Ben, my order has arrived in good condition. Excellent products and service! I just wanted to say thank you for your great products. We have just returned from a holiday in Vietnam and the CARES harness was fantastic, it kept our little boy safely strapped in and he was much more settled in a harness than on previous flights where he just had a seat belt. He was able to sleep quite comfortably and was happy to be in it. We did 2 international flights and 2 domestic flights with Vietnam Airlines. All with no problems; the staff didn't even mention the harness. 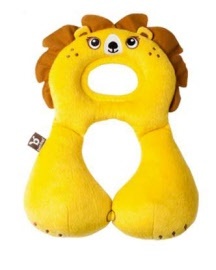 The folding toilet seat, neck pillow, wrist buddy and wrist bracelets all contributed to the success of our first overseas holiday with our 2 year old. I will definitely be recommending your site and products, and I'm sure I'll be back for more in the future.